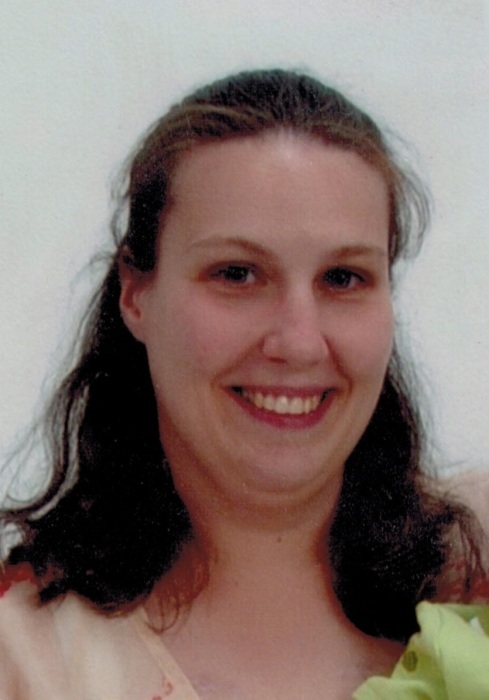 Carrie Jo Beman, age 36, of Delta, passed unexpectedly in Delta early Sunday morning, July 1, 2018. She was born in Wauseon on November 23, 1981 to Gary Beman and Sue (Patrick) Hill. Carrie was a graduate of Delta High School. Most recently she was an assistant manager with the Lassus in Delta; where she was able to brighten customers’ days with a smile and create friendships. During free time Carrie enjoyed being with family and friends; occasionally tubing from the back of a pontoon boat, caring for animals and most of all spending quality time with her son, Elijah. Along with her parents and love of her life Elijah, she is survived by her brother, Chad Beman; sister, Amy Arnos; step-sisters, Charlene Ziolkowski, Patricia Mascarello, loving nieces, nephews and her service dog, “Indy”. Carrie was preceded in death by her brother, Scott Beman; grandparents, Russ and Thelma Beman and Sam and Thelma Beavers. A private family memorial service will be held at Barnes Funeral Chapel, 5825 St. Hwy. 109 in Delta, celebrating Carrie’s life. Pastor Chuck Whitmire will be officiating. Private interment will be at Young Cemetery in Liberty Center at a later date. Those wishing an expression of sympathy are asked to consider a memorial contribution to the family care of Sue Hill or Amy Arnos for a trust fund caring for Elijah.